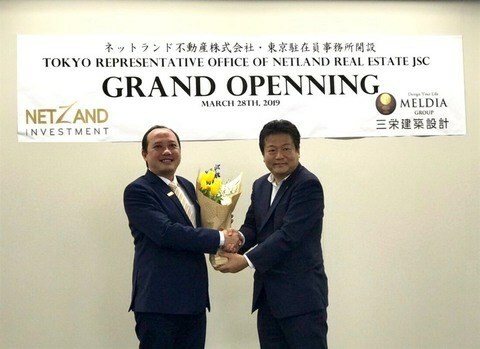 Hanoi (VNS/VNA) – Vietnamese property developer Netland Real Estate JSC has opened a representative office in Tokyo, a step in the company’s plans to expand into the international market to attract investment into its projects in Vietnam. The office will introduce the company’s real estate projects to partners and investors in Japan, and hopes to attract especially individual investors to the real estate, particularly the tourism property segment in Vietnam. It is also collaborating with local real estate trading floors and companies to sell its products there and also Japanese products to Vietnamese. At the opening ceremony on March 28, the company introduced 16 projects that it solicits investment and its ongoing projects, including those that it holds exclusive distribution rights. Japan was the top investor in Vietnam last year with investments of 8.59 billion USD, or almost a quarter of the total FDI.